Product prices and availability are accurate as of 2019-04-17 10:29:24 UTC and are subject to change. Any price and availability information displayed on http://www.amazon.com/ at the time of purchase will apply to the purchase of this product. 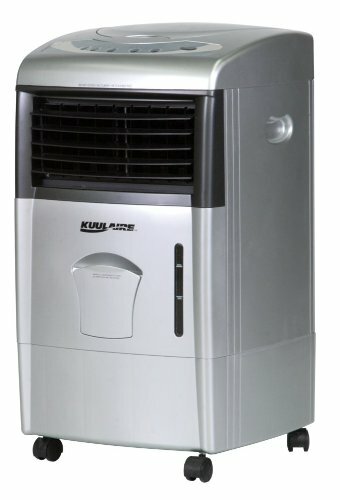 KuulAire's PACKA40 portable evaporative cooling unit is the compact and affordable way to beat the heat wherever you are, thanks to its transportable frame on wheels for easy maneuverability. It can cool up to 150 square feet using energy-efficient technology that's free of harmful refrigerants. 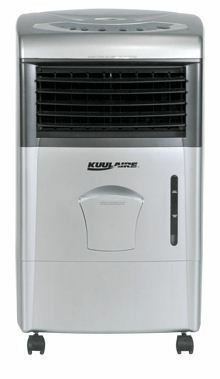 KuulAire's PACKA40 portable evaporative cooling unit can cool up to 150 square feet by combining the cooling effects of water with a high-powered fan (view larger). The KuulAire PACKA40 portable evaporative cooling unit is one of most efficient ways to keep cool, indoors or out. 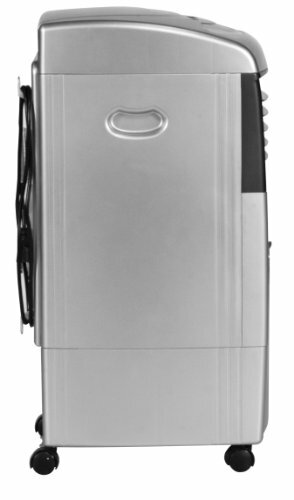 The PACKA40 portable evaporative cooler will cool you down in your home or office. 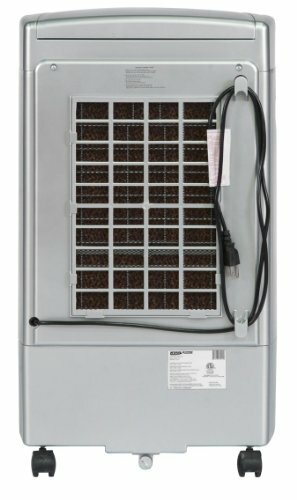 Use this feature-rich product to cool up to 150 square feet by incorporating the cooling effects of water and the distribution of a powerful fan. The swing louvers, timer, remote control, and 2.64-gallon water reservoir will come in handy to cool off your indoor hot spots with all-natural, cost-effective evaporative cooling. You can rely on the PACKA40 portable evaporative cooler for all your cooling needs. This unit is extremely powerful and cools with no harmful refrigerants. Lightweight, portable, and easy to move with casters, it comes assembled, complete with a one-year manufacturer's warranty for added peace of mind. The KuulAire PACKA40 cools using regular tap water and 115 volts with no harmful refrigerants. No assembly is required. It is easy to use and maintain, and you can use it in conjunction with an air conditioner to boost the cooling. Product dimensions: 27 inches high, 15.4 inches wide, and 14.6 inches deep. Weight: 22 pounds. Features: three speed settings, automatic-swing louvers, timer and remote control, 2.64-gallon water capacity, uses high-efficiency rigid media. It is ETL rated, cost efficient, and ready to operate right out of the box. Remember the chill of getting out of a swimming pool on a hot day? That's evaporative cooling. Evaporative cooling units create this natural effect and provide a constant flow of cool, refreshing air into hot, uncomfortable environments. The heart of an evaporative cooling system is the evaporative pad. A pump pushes water over the pads and a fan pulls the air through the pads. The water evaporates within the pads and the air passing through the pads is cooled. This unit does not produce mist, promote rusting, or wet surfaces. 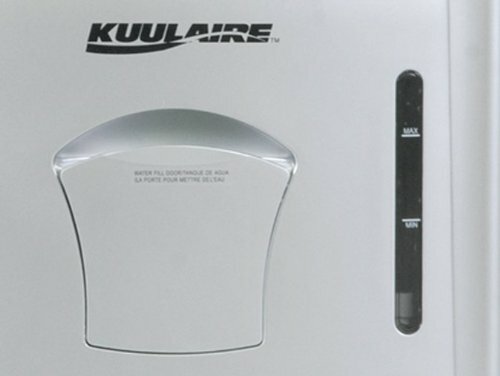 KuulAire products are manufactured by Port-A-Cool, LLC, and the company is recognized as an industry leader, with Port-A-Cool and KuulAire products being respected in both the United States and international marketplaces.